BBC has released a mass of Box Sets of Classic BBC programming this Christmas and if you want to know how you can watch them abroad we’ve got the details you need. 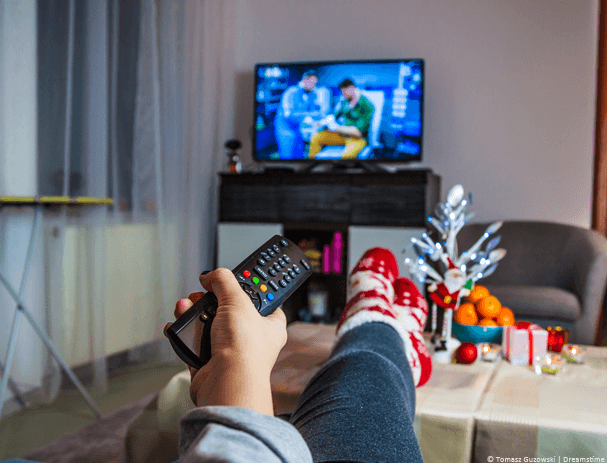 If you’re outside the UK either travelling or on a more permanent basis then you’ll definitely miss TV from home. BBC iPlayer is a wealth of quality British TV programming but this Christmas they’ve expanded that offering and are now allowing you to view some of the best Box Sets for an entire month. If you want to get access to all that Box-setty-goodness abroad this Christmas then read below and we’ll show you how. The Box Sets are available to watch now on BBC iPlayer. Unfortunately if you’re abroad and you try to access BBC iPlayer you’ll be blocked with a message that looks like this. You’re blocked because you’re outside the UK. 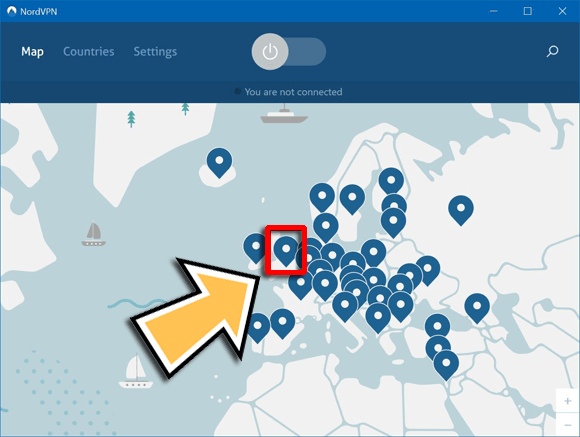 To avoid this block you’ll need to get yourself an app called a VPN that allows you to change your online location and make it appear as if you’re in another country. Below we show you how you can do this on a computer, laptop, phone or tablet. A VPN costs around £4 per month and can be cheaper if you subscribe for longer. It’s easiest to watch BBC iPlayer on a computer or laptop. To do this you’ll need to sign up for a VPN service. Just follow the steps below. Visit the VPN provider NordVPN and sign-up. There’s a 30-day money back guarantee too. Download their app for your Windows or Mac computer or laptop from the VPN Apps area of the website. Install the software, run it and login with your account details. 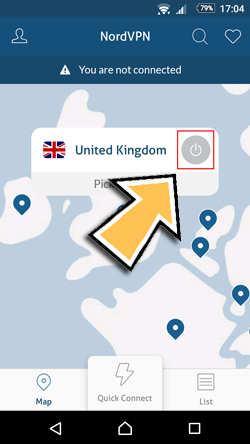 Select United Kingdom and press the Power Button. Once the NordVPN software has connected all you need to do is visit BBC iPlayer. You can access a dedicated Box Sets page on the BBC iPlayer website where you can find all the Box Sets. It’s possible to watch BBC Box Sets on a mobile or tablet running either Android or iOS such as the iPhone or iPad. It’s best if you download the BBC iPlayer app in the UK before you leave because it makes things a whole lot easier. If you’re already outside the UK then you’ll need to read our guide to download the BBC iPlayer app outside the UK for both Android or iOS first. Assuming you already have the BBC iPlayer app installed or you’ve managed to install it outside the UK then follow the steps below to watch Box Sets abroad. Visit the VPN provider NordVPN and sign-up to their service (There’s a 30-day money back guarantee). Visit your usual app store and search for “NordVPN” and install the app. Once the NordVPN app has made connection all you need to do is launch the BBC iPlayer app on your mobile or tablet. You’ll now be able to watch all the Box Sets and any other shows on iPlayer from anywhere in the world. BBC is releasing a whole host of Box Sets on BBC iPlayer and you can watch these from 16th December 2017 for 1-month. The selection of shows added to iPlayer includes Box Sets and some of the most classic BBC programming that isn’t available anywhere else online. 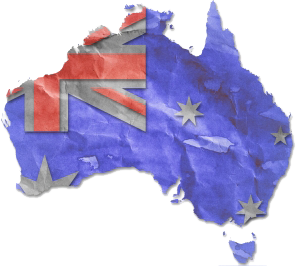 The entire range comprises of comedy to drama and natural history to family shows. Peaky Blinders will be one of the most well received shows and all three series are now available to watch online. More Box Sets include Wolf Hall starring Mark Rylance and Taboo featuring Tom Hardy. The entire 4 series of Line of Duty also features and Sarah Lancashire classic, Happy Valley. Sherlock fans are in for a treat with both series three and four available in their entirety and the 2016 special. More programmes and Box Sets include Thirteen, Feud: Battle and Joan, Blue Planet II, The Blue Planet, Planet Earth, Planet Earth II and Frozen Eart. If that wasn’t enough there’s a whole host of David Walliams films including Gangsta Granny and The Boy in the Dress. To round it off there are five Christmas Eastenders and most importantly every regeneration of Doctor Who all the way back from 2005. You can watch all the Box Sets and any other BBC iPlayer content this Christmas from any country in the world. All you’ll need is a VPN service from NordVPN. You can visit their site and sign-up by clicking the button below and then download the correct software or app for your device. You should then connect to the United Kingdom. All that is left to do is visit the BBC iPlayer website and you can watch as much as you want. You’re partly correct for the solution that will work. You’ll need an Amazon Fire TV Stick (https://amzn.to/2DTisWS) Generation 2 or 3, the 1st generation one doesn’t work nor is powerful enough. Plus a VPN service. The one you saw the advert for won’t be suitable because as far as I know they don’t offer a dedicated Amazon app. You’ll need to sign up for ExpressVPN (https://www.vpncompare.co.uk/expressvpn-com) and then download their app onto the Fire TV Stick. It works with all the UK apps. The only thing for BBC iPlayer is you’ll need to access via a web-browser on the Fire TV Stick (Eg; Silk Browser or Firefox) because the built in app does not work with this method. It works perfectly via the browser though. Any other questions feel free to post!